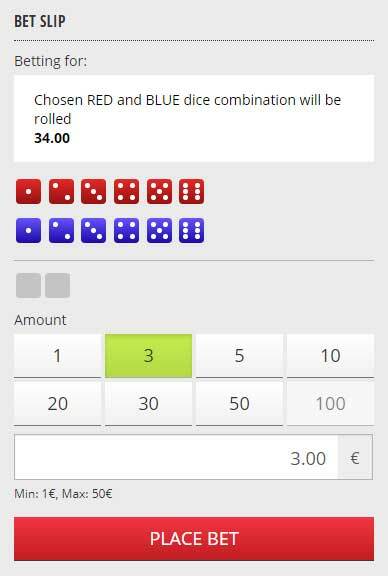 Betgames Dice Duel - An exciting Dice Game or a waste of time? Betgames Dice Duel is the second Dice game from BetGames. This one is even easier to understand than Dice, and that’s saying something. Two dice are shaken and thrown onto the dice table. You’re betting on Numbers, Odd/Evens and Totals. Two dice are used in the game. One Red, One Blue. New game rounds are played every 4 minutes. There are a number of betting options available. This is probably the easiest bet to make. You’re betting on whether the Red or Blue dice wins or if it will be a draw. You’re betting on a number and whether it will be on the red or blue dice or on a combination of two numbers across both dice. There are options to bet on the number of Pips that will be on the dice. Whether they will all be odd or even or specific to a colour. 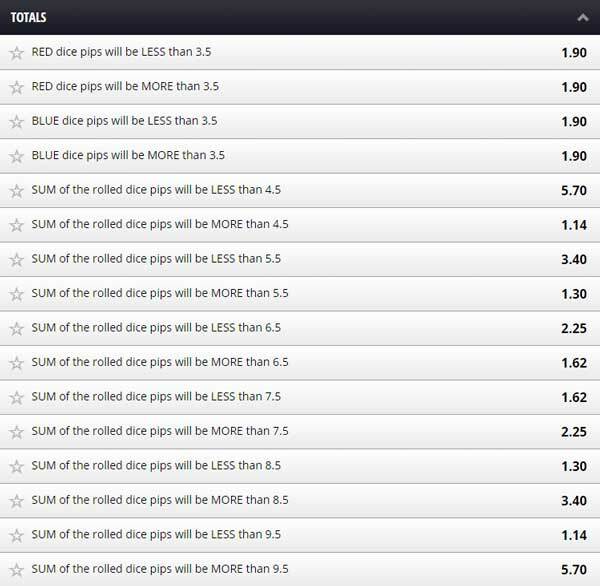 The most comprehensive bet where you can bet on the sum of the pips on the rolled dice. Either by colour or above or below particular totals. The bets are placed using the Bet Slip on the right hand side of the screen. It’s fairly self explanatory, pick, your bet, set the amount you want to wager and then select Place bet. The results are displayed on the screen immediately after the game has completed. If you’ve missed them then click here for the historical Betgames results.